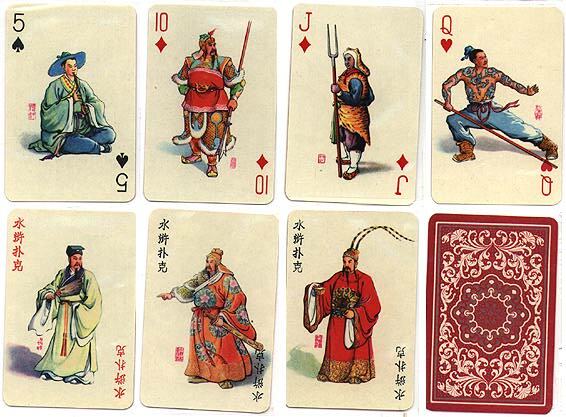 This is the second "Character in Water Margin" deck in the box with two decks. Both decks from the double box have the same backs. 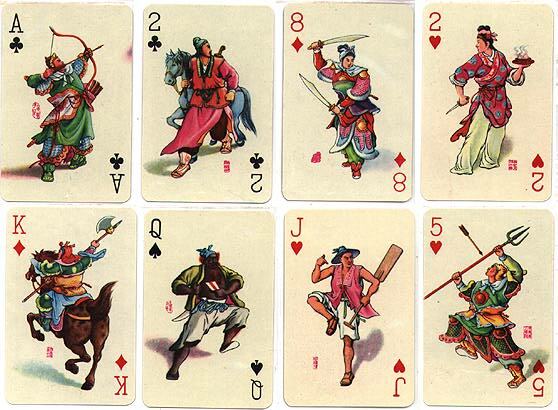 According to H. Vu, there are 108 heroes in the 14th century Chinese novel Water Margin, making it a popular choice for a set of two 54 card decks.